I am here to support you as you make a difference in your child(ren)’s life. Here on Making Motherhood Matter, I share fun ways to spend quality time together with your child(ren) through kids activities, positive discipline tools, and time-saving tips to make life easier. My ultimate goal is to be a resource and inspiration for parents, educators and caregivers from pregnancy through preschool. As a mother of two little ones and former first-grade teacher with my Reading Specialist Masters degree, it’s my passion to work with children and share fun ways to engage with them. One of the best ways to experience the full benefits of this website is to join hundreds of parents, educators, and caregivers who are getting FREE printables and activities for kids sent right to their inbox. How? Through the Freebies vault. 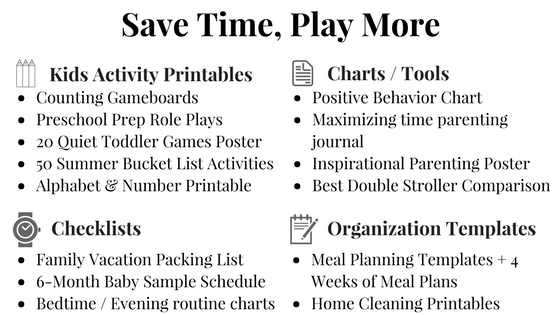 The freebies vault is designed to help you save time with these printables so you have more time to do the most important work… playing with little ones. 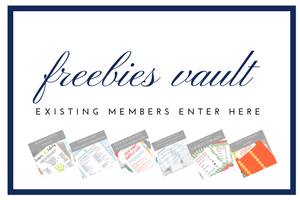 Click here to claim your Freebies today or get a peek at what’s inside the vault, click here. You can use the search bar in the top right-hand corner to find topics you enjoy reading about or navigate through the website using the menu categories. Whatever you decide, I hope you’ll stay a while and hang out or maybe even add this to your bookmarked sites.